Prepare the dressing mix in a small bowl as directed on envelope. Stir in sugar and soy sauce. Break apart ramen noodles. Place in a large bowl. Discard seasoning packets (or reserve for another use). 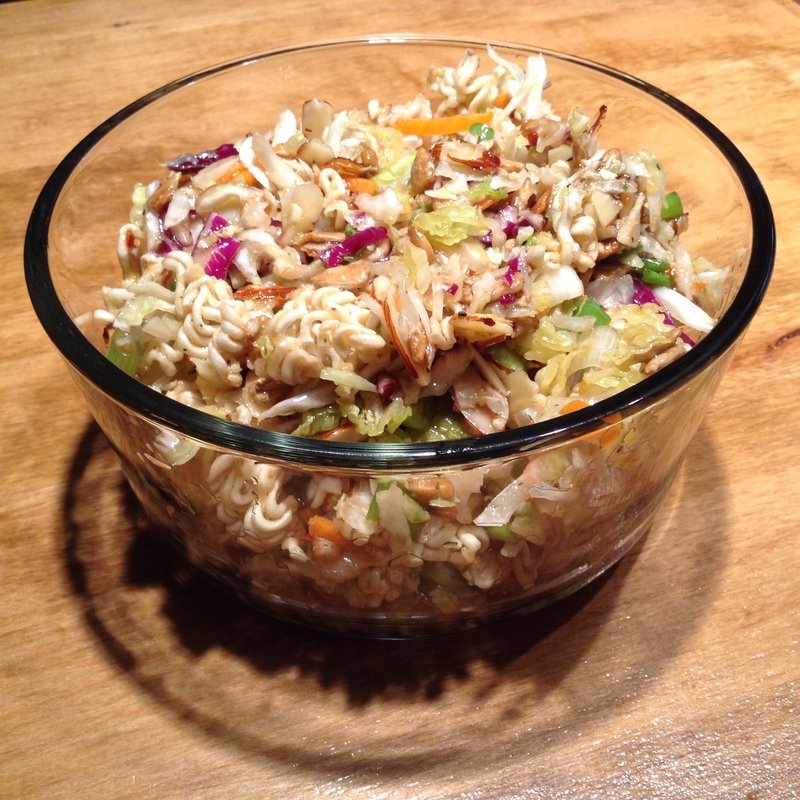 Add coleslaw blend, onions, sunflower kernels, and almonds to noodles. Mix lightly. Serve within 2 hours for best crunch. Source: Good Seasons dressing packet.